Comments: Need full sunlight for best growth and flowering. 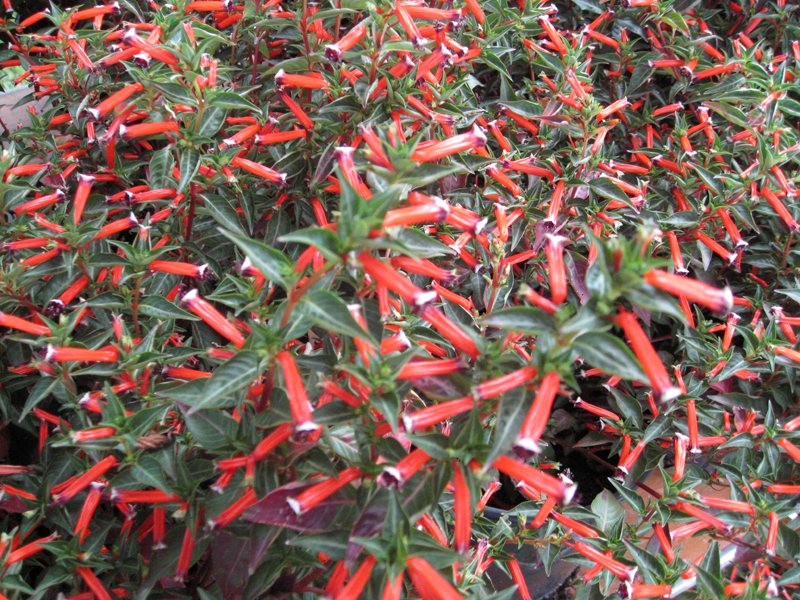 It is a relatively low growing, almost dwarf, cuphea. It flowers for a long period from the middle of spring until the weather cool in the fall. It is grown as an annual in areas that have freezing temperatures. The red-orange flowers attract hummingbirds and butterflies.